A bowl of roasted zucchini and tomatoes. Zucchini is a summer squash that resembles a cucumber in shape. It is nutrient-rich, providing vitamin C to help combat inflammation, as well as omega-3 fats and other anti-inflammatory compounds to help protect your heart, blood vessels and GI tract, notes the Michigan State University Extension website. It's also a good source of fiber and B vitamins. 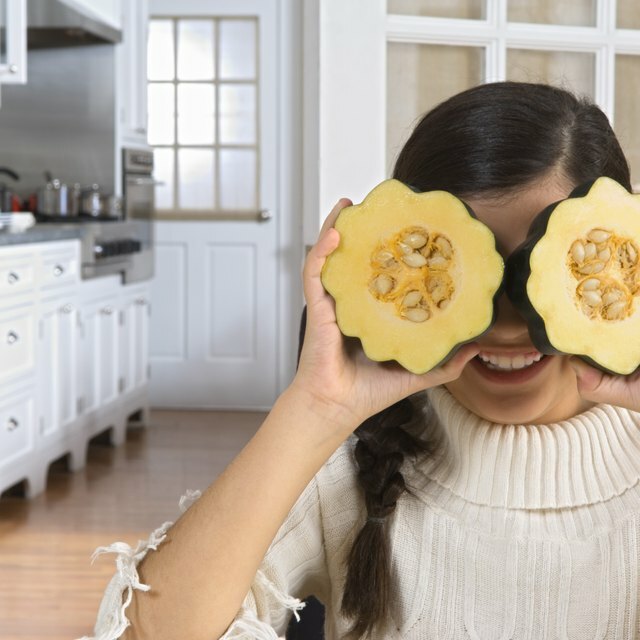 There are numerous ways to enjoy this versatile vegetable while reaping its health benefits. Zucchini does not require cooking and retains a high level of its nutrients when you eat it in its natural state. Cut the squash into thin coin-shaped slices to add to salads, or use a vegetable peeler to prepare shavings to add to salads, soups, baked potatoes and other dishes. For a healthy snack, dip raw zucchini sticks into hummus or a yogurt-based dip. Grilling is a perfect way to cook vegetables because you don't need to add a lot of fat during the cooking process. Grill thin zucchini slices in a foil pouch just spraying them with a fine mist of cooking spray to prevent sticking. Or, place thick slices of the squash, lightly coated with olive oil, directly on the grill, turning after several minutes. Stir-fried zucchini can be a healthy addition to your Asian-inspired meal or as an accompaniment to pasta or meats. When you stir fry, you just barely cook the squash at a very high heat, using very little cooking oil. Depending on your choice of cuisine, you can stir fry slices of zucchini in olive or sesame oil. Both these oils contain healthy fats that can help lower your cholesterol and prevent heart disease. 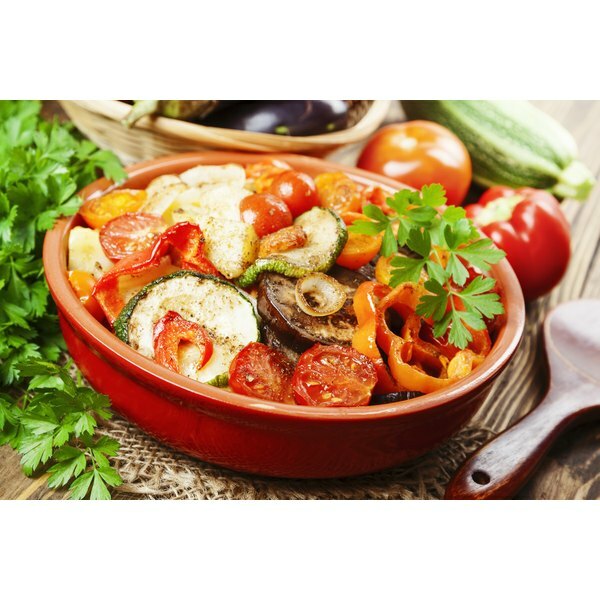 Baking vegetables is an ideal choice for healthy cooking when inclement weather does not permit you to use your grill or when you are cooking other foods in the oven. For crunchy oven-baked zucchini, coat thin slices of the squash with low-fat milk or olive oil -- and then toss them in seasoned breadcrumbs. Bake the slices on a lightly oiled or sprayed cookie sheet at 425 degrees Fahrenheit for 25 to 30 minutes, depending on the thickness of the slices.